Featuring an ultra-compact design, this Samsung 5.3V 2.0A USB Power Adapter offers efficient charging for multiple devices. Designed with convenience in mind, take this Genuine Samsung Power Adapter with you wherever you go! 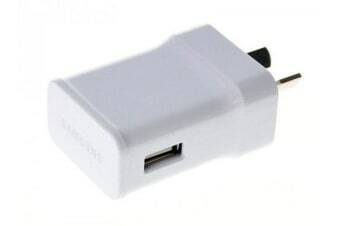 This Samsung 5.3V 2.0A USB Power Adapter is compatible with any Samsung model with a USB charging cable, as well as other USB 2.0 charging cables. Its a phone charger and it works. I got a fast charging one with 5.0v and 9v instead of the 5.3v one. very fast charging, but also small and east to travel with.